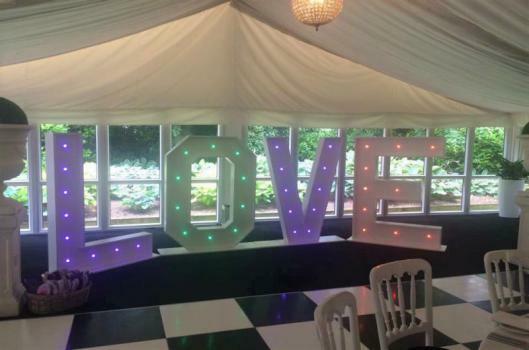 The Large LED Love letters are getting very popular at Weddings and Anniversaries. We provide 2 height sizes, and these are both high-quality products. 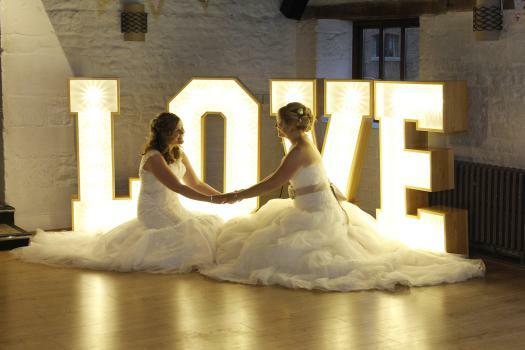 The 4ft Love letters are great for most venues and certainly looks great with photos. 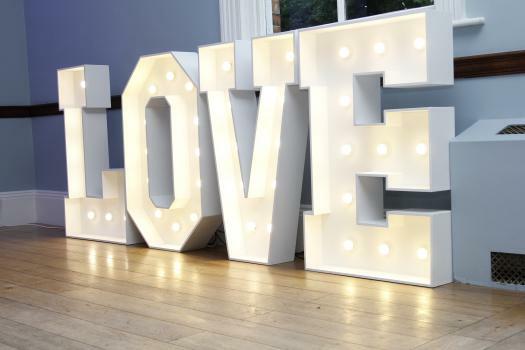 The extra large love letters would give you that extra WOW factor and may be ideal for that larger event. The Bulbs are all LED which means they are safe if the little ones touch them. We can also change the colours of the LEDs to suit your theme or Venue. 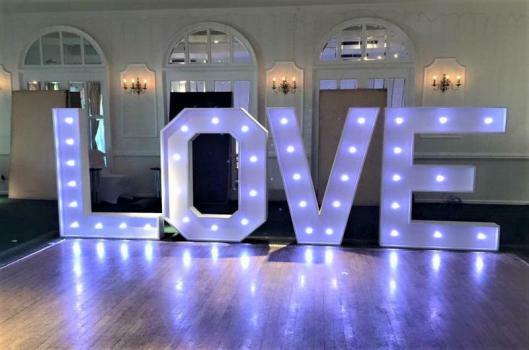 These Fantastic Letters can be placed near the dance floor, Against a Blank Wall or by the entrance of your venue or function room. These will stand out at your wedding/anniversary providing an excellent opportunity for some excellent photos. 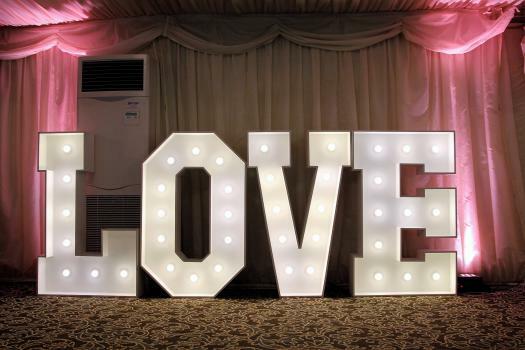 Many companies use the cheaper battery powered Led love letters, but they have an unpredictable battery life. For that reason, we use the regular electrically powered version. As a Multiservice company based in the Midlands, we cover many areas. These also include Staffordshire, Worcestershire, Warwickshire, Shropshire and Leicestershire. 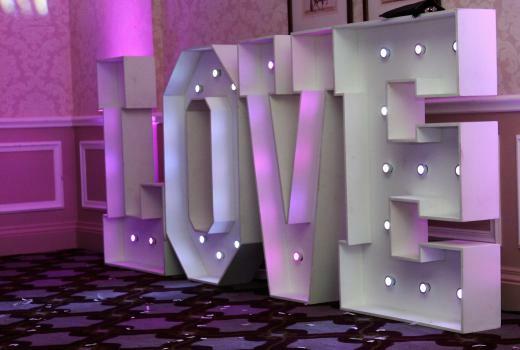 Mr and Mrs Letters, Backdrops, Led Post Boxes, Uplighters, and Dancefloors.